300thmovie! Yes! Nailed it! This has been a plan from the outset, that the 300thfilm just had to be 300, and lo it has been done. Finally I can stop checking the count every day of how many films I’ve watched and just get on with watching more and writing posts (I won’t). Based on the incredibly stylish graphic novel by Frank Miller (Sin City), it could be argued that this two-hour fight scene suffers from a severe case of style over substance, with a small squadron of 300 Spartan warriors heading out to take on the thousands-strong army of Persians out to conquer their land, but whilst there is some accuracy to this, there is quite enough story behind the oceans of cool. 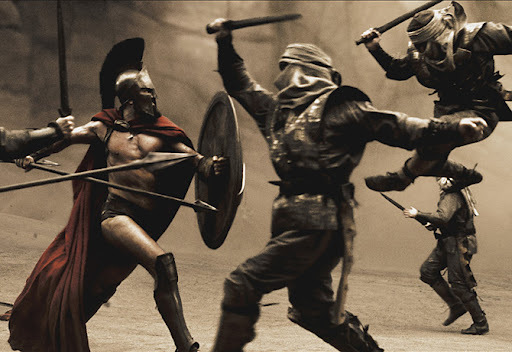 The Spartans, led by Gerard Butler’s King Leonidas in a role that remains his calling card after six years of mostly forgettable romcoms and mindless shooters, have been trained since birth to feel no pain or mercy – or cold, judging by how little they wear – and all live to fight, and die, honourably in battle. One soldier, when questioned as to why he has brought his adult son along to fight, replies that he has others to replace him. It’s impossible for a man not to watch this and feel inferior. Some may see it as a rabble-rousing celebration of what it truly means to be a man – fighting and killing, safe in the knowledge your son will carry on your name – but personally I see it as a reminder of the garage-worth of spare tyres congregating about my torso, and how I’ve managed to survive almost 25 years without so much as throwing a punch. I can almost feel my ovaries forming. 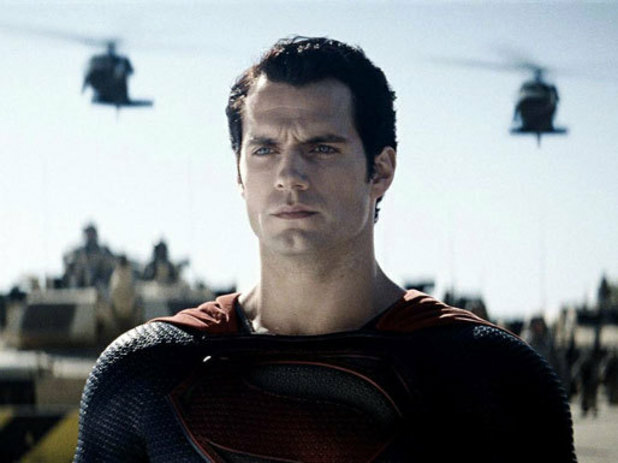 The combat, and believe me there’s an awful lot of it, is wonderfully choreographed, and director Zack Snyder utilises a deft blend of colour, lighting, slow motion, shadows and speeding up to showcase its full glory. At times it feels more like a videogame, as the quantity and skill level of the foes to be vanquished steadily increases. The occasionally flits back to Sparta, where Leonidas’ Queen (Lena Headey) tries to convince their council to send reinforcements, do a good job of breaking away from the otherwise incessant violence, but some touches – the giant troll, a bizarre goat-creature – take away from the experience, and overly-pierced big bad guy Xerxes has a voice comically mismatched to his appearance.